Devotion turns deadly in this second Gothic thriller from Printz Honor–winner Kenneth Oppel that is “every bit as thrilling and engaging” (VOYA) as This Dark Endeavor. Y’all there will be spoilers here for THIS DARK ENDEAVOR, so if you have not read THIS DARK ENDEAVOR, click here instead! Am I the only one who is compulsvie about book and series formats? For real, once I start a series in one format, I prefer to keep going in that format. Y’all, I broke this habit with Such Wicked Intent by Kenneth Oppel, the second of Kenneth Oppel’s books re-imagining Mary Shelley’s Frankenstein for a YA audience. I have to say, it’s much easier going from print to audio than the reverse. Such Wicked Intent is quite an enjoyable, if not eerie listen. Victor is bereft with grief after his twin Konrad died. He burns the library, THE Dark Library, to the ground causing bookworms everywhere to clutch their pearls in horror. Yet, one book does not burn so he takes that as a sign. The book has dark magic that has to do with death, so OF COURSE Victor is arrogant enough to think he totally needs to try out the magic. Eventually Victor, his cousin-love Elizabeth, and friend Henry find a portal into the spirit world and they get to hang out with Konrad again. Yet, this TOTALLY has it’s price and an evil has awakened. What really strikes me about Such Wicked Intent by Kenneth Oppel is the mood. You know how some books totally have a mood that just permeates every single page? Such Wicked Intent has a heavy, dark mood. Oppel’s words are heavy with the weight of Victor’s grief for Konrad. We see Victor veer into madness territory because he wants his brother back desperately and totally messes with things that he shouldn’t. I think Oppel does a great job with mood without becoming trite. This book just is absolutely perfect for the season of fall, it has that sort of mood, if you know what I mean. You can totally read it with scary music in the background as you hand out candy to trick or treaters. I’d definitely recommend Such Wicked Intent on audiobook. It took me about an hour into the audio to get acclimated to narrator Luke Daniels’ voice. His voice is quite formal which works for the historical fiction feel of the story. Also? I really love the way Daniels the professor. The unabridged 8 hours and 15 minutes felt like no time at all. 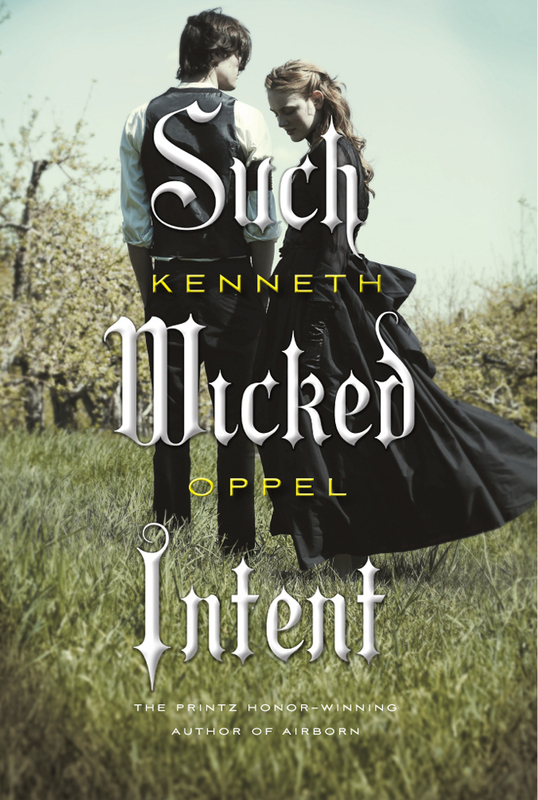 Such Wicked Intent by Kenneth Oppel was produced by Brilliance Audio and as always, the production quality is stellar. I’m totally the same way about formats – but holy cow does this series sound good!! And the cover of this? GORGEOUS! Now, I’ve been reading a lot of happy fluffy things lately, so I could really use a good dark book! I think I’ll check into this series more! Jac, you totally should. This one is really good and dark and perfect for the upcoming fall season. I LOVED the audio of This Dark Endeavor so I can’t wait to listen to the second one on audio. I thought Luke Daniels was the perfect narrator. I feel like I need to re-read the first one via audio. Luke Daniels was totally appropriate for the story, you are right he is the perfect narrator for these books. I feel you on how strange it is to change from one format to the other. I’m trying it out on a couple. I just listened to Once, though I read Eve. Since I didn’t love the writing style on Eve, I was thinking it might be better to listen. I think it ended up being about the same. Also, I’m listening to Size 12 and Ready to Rock, even though I read the first three books. It’s a different experience. lol. I’m not sure if it was the right choice or not. Cabot does lend herself well to audio, though. I should probably read this series right here. On audio, perhaps! Haven’t heard of this one, but glad you enjoyed and sometimes I just need heavy and dark. Great review, April! This is a book I MUST READ SOON! I waited too long before reading This Dark Endeavour and I still can’t get over what I was missing. It was great! I think it would be interesting to listen to the audio for this one … I’ll have to see if my library has it!